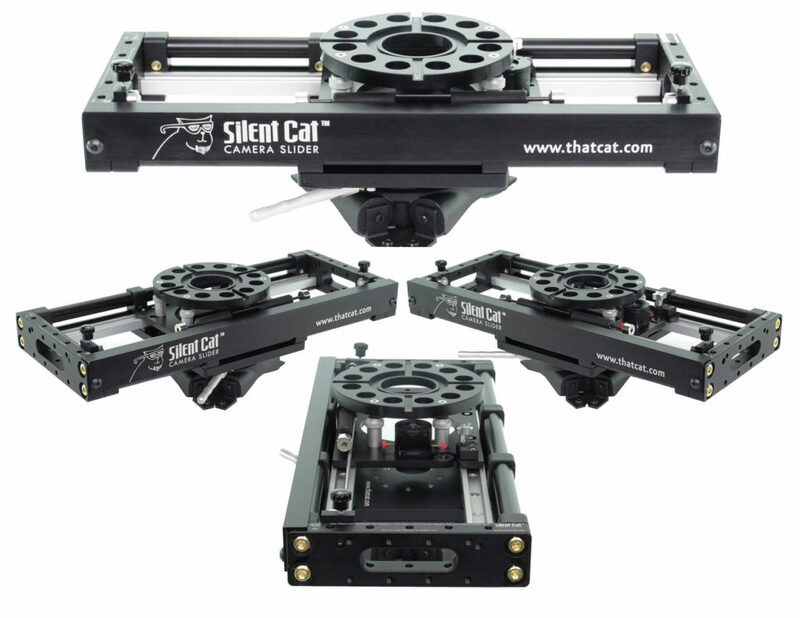 The Silent Cat™ 2000 Camera Slider is the perfect over rig for small corrections when actors miss their marks. At just 24”, The Silent Cat™ 2000 allows a 13” travel. You can use it center mounted or end mounted*. Additionally, you can use it top mounted or under slung. When end mounted the Silent Cat™ 2000 functions as a traditional swing head or ratchet offset, but provides the additional opportunity to track 11” and to under sling the camera. 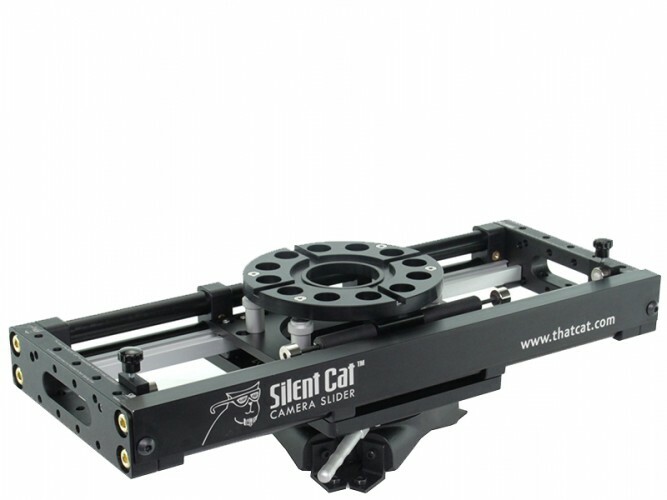 The Silent Cat™ is the only camera slider that can under sling directly off of the camera dolly. This allows the camera lens to be as low as possible to the scene. *All camera sliders allow the camera to slide into a position where there is an imbalance of weight. The mounting positions available on Silent Cat™ 2000 Camera Sliders may increase an imbalance of weight. The user of the Silent Cat™ 2000 Camera Slider is responsible for safety and judgment as to prevent the camera and what it is mounted to from tipping over.